Traditionally, innovations in the digital political world have been focused primarily around online fundraising. Innovations like one-click donations, mobile responsive forms, welcome series emails, pre-filling form fields, and A/B testing have long been focused on improving conversion rates for contribution forms. 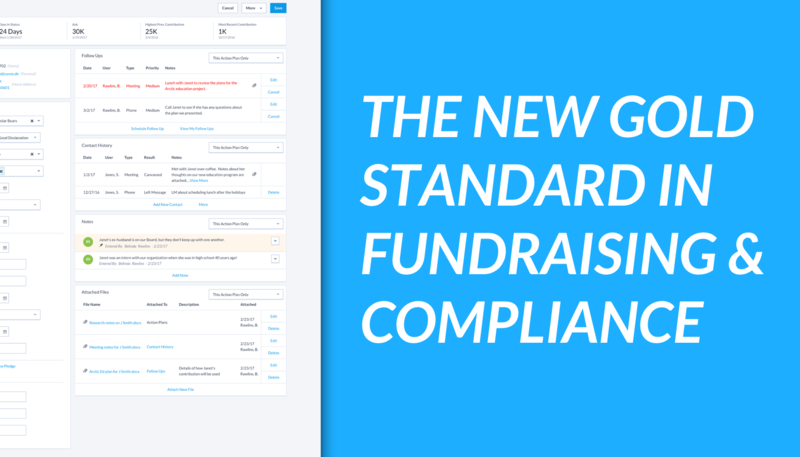 That’s been great for digital fundraisers, but what about organizers? 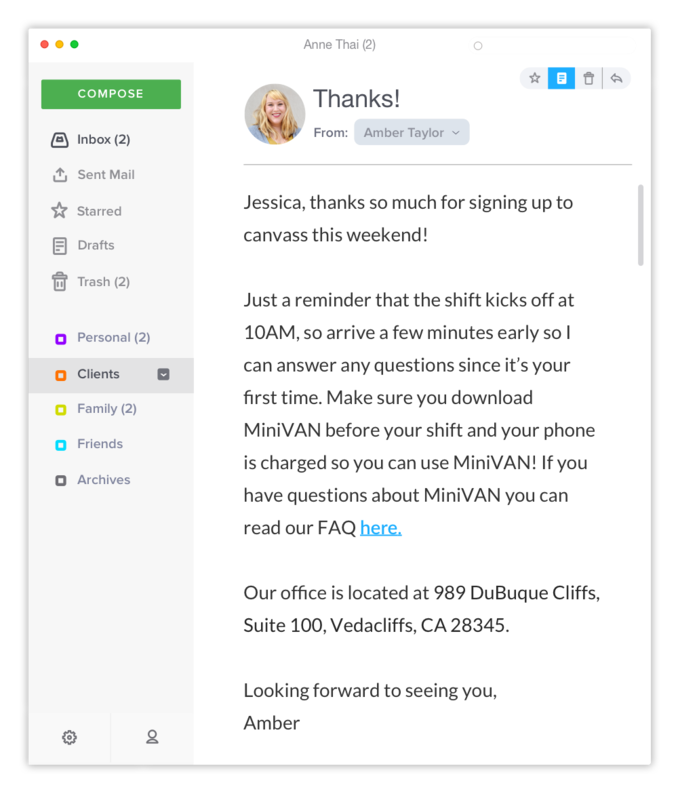 Today we’re excited to announce the launch of an entirely new suite of digital tools just for organizers: introducing Field Automation, Targeted Email, and Online Actions on VAN. Great digital tools shouldn’t just be for fundraising - canvassers, organizers, and field directors can all benefit from tools designed to increase conversion rates, streamline common tasks, and make campaigners more efficient and effective. We know that the way you’re interacting with your volunteers and supporters is changing, and we want to give you the tools to engage with them where they are - online. Here are just a few examples of how campaigns can use the new digital tools we’re introducing for VAN/VoteBuilder. Using our email welcome series functionality, campaigns can set up an automatic, personalized series of emails to be sent to voters who were contacted the day before. We’ve taken the cutting-edge technology from contribution forms and applied it to organizing use cases like volunteer forms. 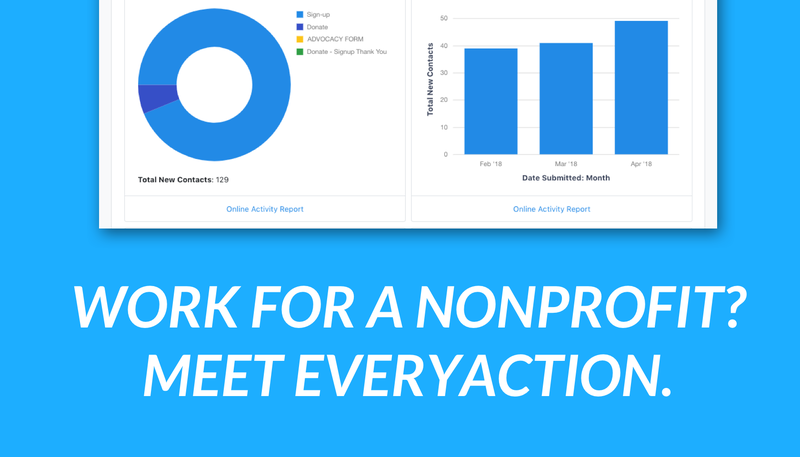 Now volunteer forms will be optimized for mobile devices and take advantage of our ActionProfile functionality that pre-fills forms, dramatically increasing conversion rates. 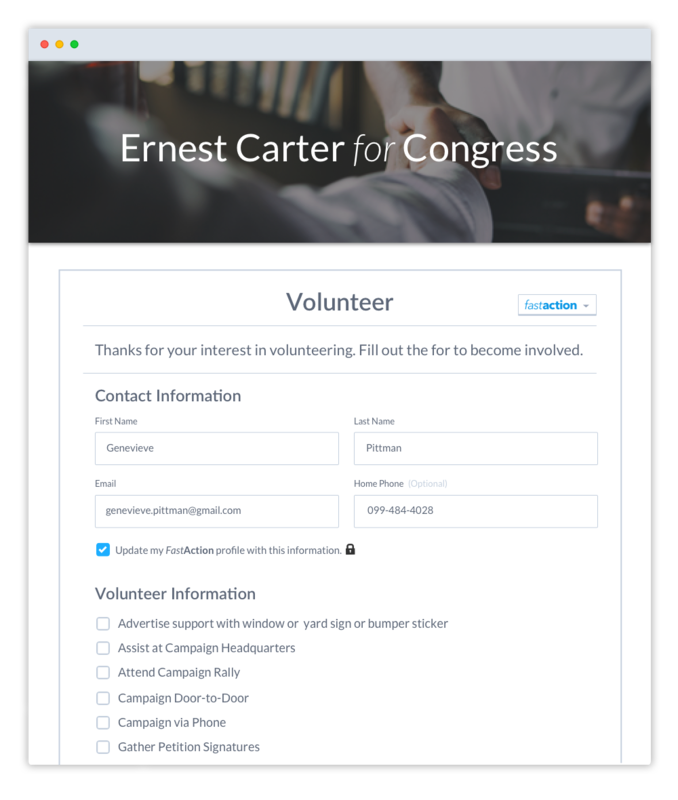 One-click donations have become commonplace in political fundraising emails, but what if you could sign up for a volunteer shift or RSVP to a rally with one click? Now you can. Our one-click functionality works across all of our forms, letting users get involved from within their inbox. Now organizers can send emails to their supporters that are completely customized based on what they know about the recipient. Send an email inviting supporters to different events based on the county, zip code or state house district they live in. Organizers now have access to the best political email tool on the market. Our easy-to-use Targeted Email system allows organizers to use advanced features like A/B testing and mobile optimized email templates all while enjoying industry-leading email deliverability rates that will ensure their supporters get their messages. Those are just a few examples of how our new digital tools can help power field operations across the country. We’re excited to see what else campaigns will do with these new tools in their hands. 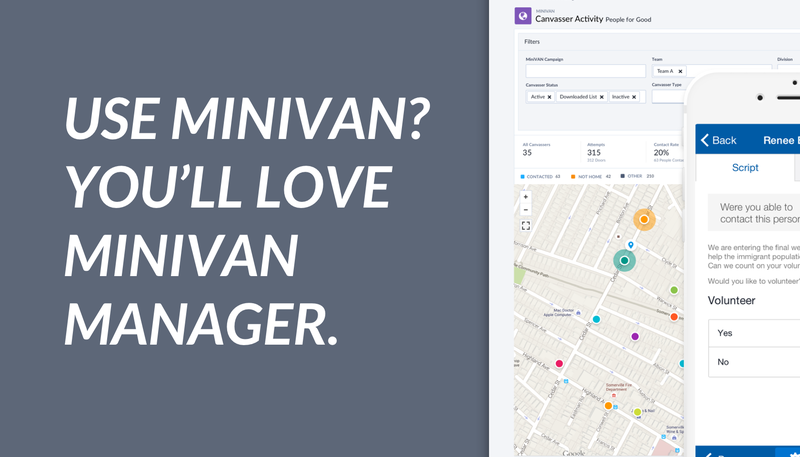 Are you an organizer working on a campaign who wants the latest digital tools? Find out out how to get started today. The Author: Amanda is the General Manager for Organizing at NGP VAN + EveryAction. She has spent more than a decade working in field and get out the vote (GOTV) operations on local, state, and national campaigns. Mike Liddell is General Manager for Digital at NGP VAN + EveryAction. Mike has worked for numerous nonprofits and campaigns and is a proud University of Texas Longhorn.